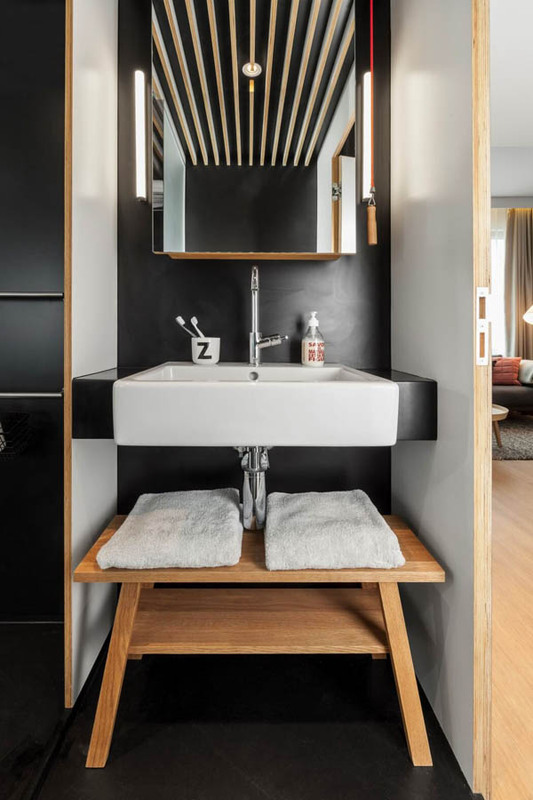 Designed by Concrete Architectural Associates, The Zoku Loft is a new type of hotel promoting the concept of a spacious micro-apartment for global nomads. 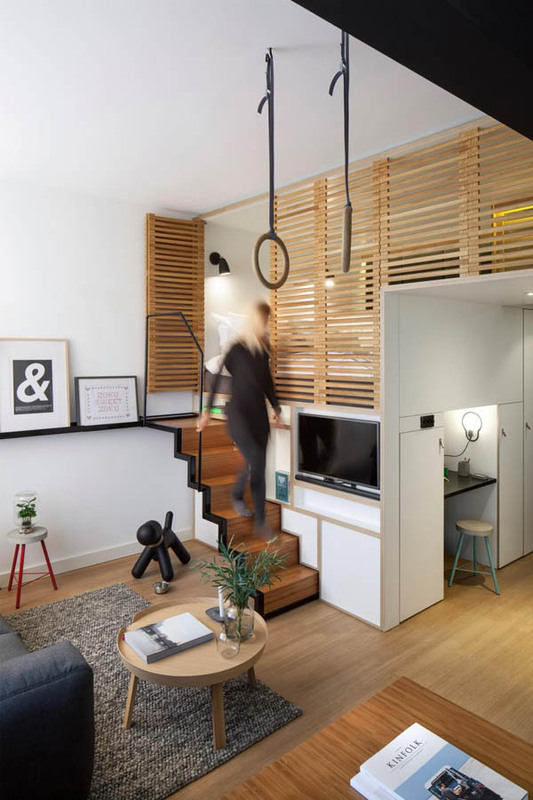 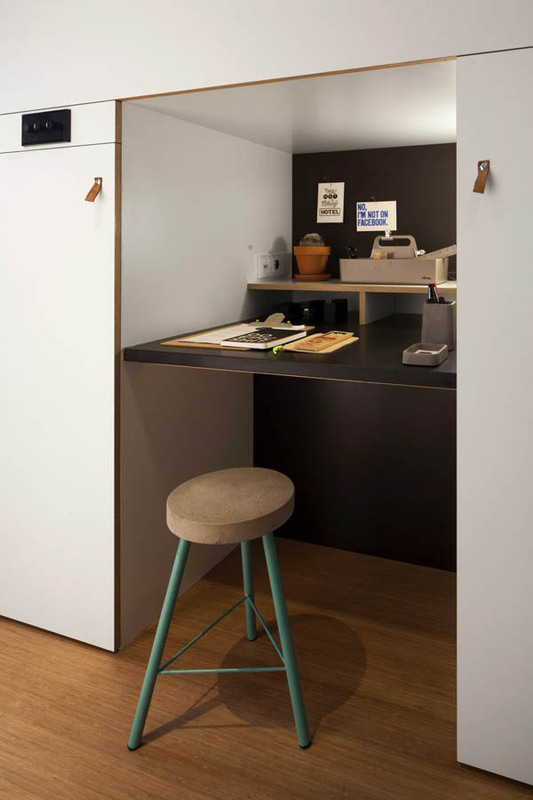 This 25 square meters room provides a stylish and spatial feel due to its flexible interior with a focus on the living and working space instead of the sleeping area. 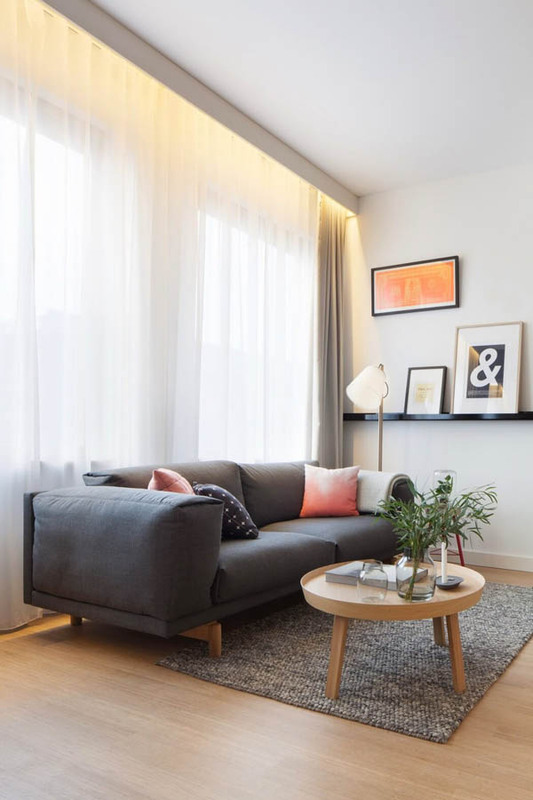 The living area consists of a comfortable two-seater sofa that allows guests to relax, receive company, read a book or watch TV. 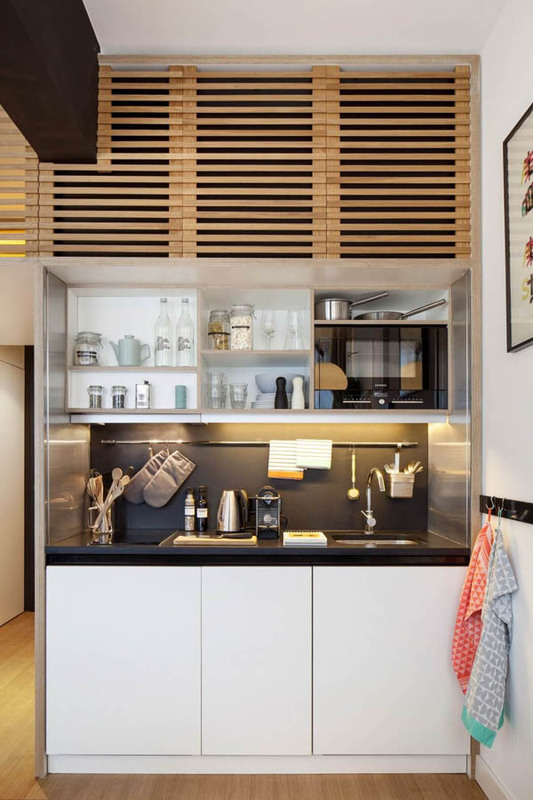 The clever kitchen design offers all the necessary comforts with equipment, , including an induction cooker, a sink, a dishwasher, a fridge/freezer, a microwave and a coffee machine. 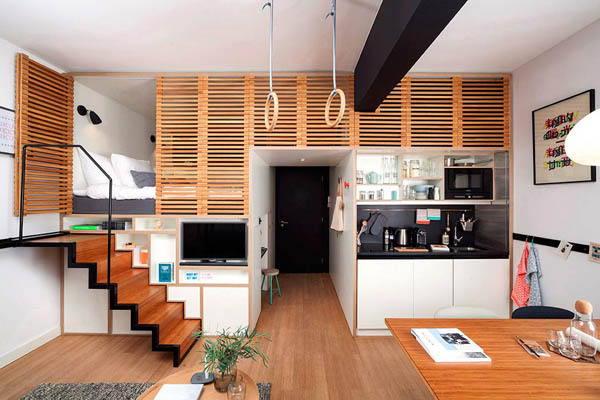 The bed is accessible with pull out stairs and the four-person table can be used to work, eat or relax. 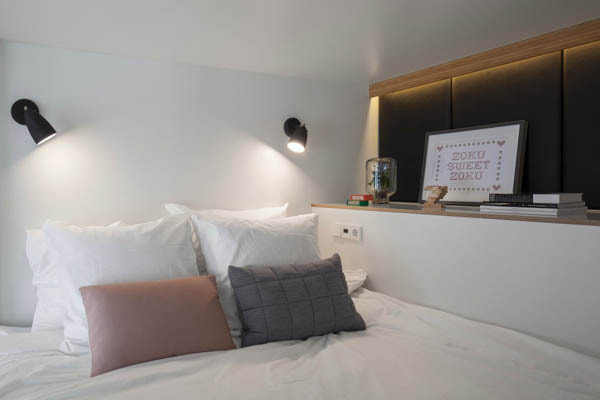 Even though this apartment is designed to meet the living needs of traveling professionals, for both short term and longer stays. 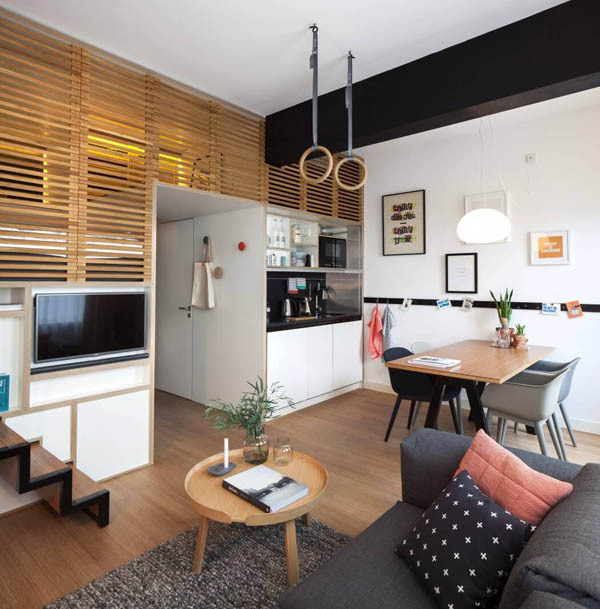 From our view, it is also perfect for a single person or a young couple to live.